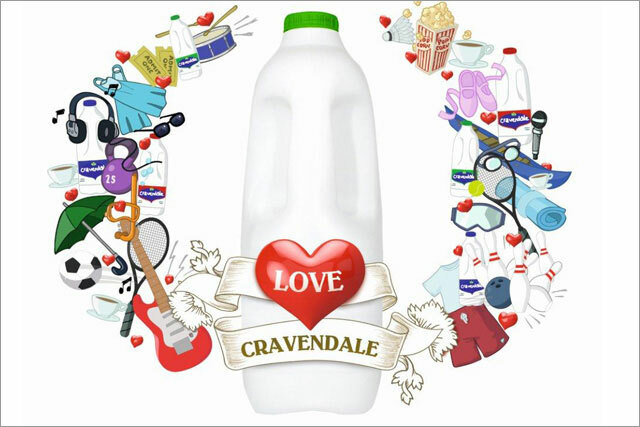 Cravendale, the milk brand, is rolling out an “always-on” loyalty scheme called LOVE Cravendale, in a bid to reward its customers. Created by digital and experiential agency, Outside Line (which was recently acquired by Saatchi & Saatchi), Cravendale consumers will be offered a host of activities, experiences and special prizes in return for collecting codes from two-litre bottles of the product. LOVE Cravendale, which goes live on Monday 1 July, will have its own online interactive hub, where the codes from the packs need to be inputted. They will then be converted into "hearts", the currency for the scheme, before individual users’ redemption programmes begin. Aimed at Cravendale’s family and pre-family audiences, the 30 "core rewards" offered at 5,500 venues nationwide include salsa lessons, football skills sessions and white-water-rafting experiences. A series of regular spot prize draws will also take place with prizes ranging from money-off airport parking, though to red carpet movie screenings at VUE cinemas. Outdoor, online display ads on a series of selected websites (including Mumsnet), and video-on-demand pop-up banners will promote the scheme. A thorough social media, e-news and blogger engagement programme will also be rolled out, as will in-store support and PR. Sophie Macaulay, Cravendale brand manager, said: "Naturally, we’re always looking to recruit new consumers to the brand, but primarily, we’re aware just how important it is to retain the many Cravendale loyalists already out there. To a large extent it’s the latter group we’re targeting with this scheme. "LOVE Cravendale is the perfect platform to enable us to do this."